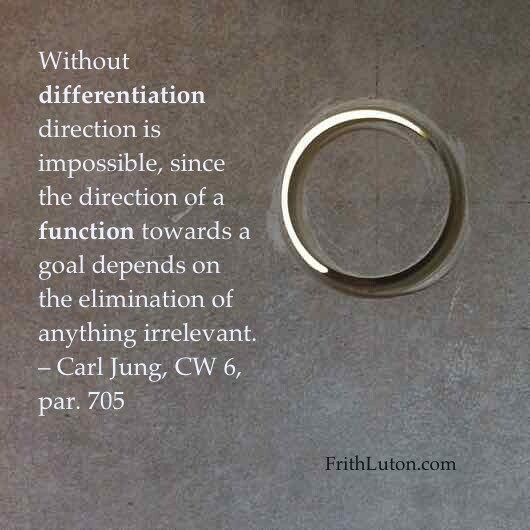 Differentiation. The separation of parts from a whole, necessary for conscious access to the psychological functions. An undifferentiated function is characterized by ambivalence (every position entails its own negative), which leads to characteristic inhibitions in its use.